Take a walk through a Raspberry Patch in this delightfully decorated room. 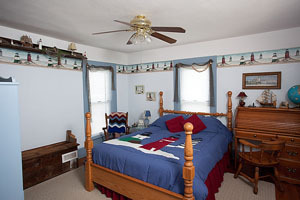 This spacious room has a Queen size bed and private bath. Do you think they might have raspberries for breakfast? Escape to this peaceful garden retreat. 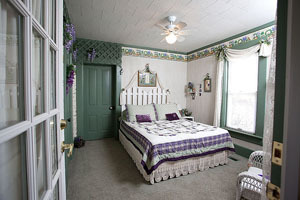 A cozy, downstairs room nestled between the corn field and the grape arbor. Soak away the problems of the day in an antique claw footed tub filled with lavender relaxation. Spend a nautical night enjoying the sea side atmosphere with lighthouses everywhere. 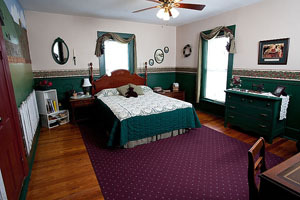 This room has a Queen size bed and private bath with a whirlpool tub. Can you hear the ocean?